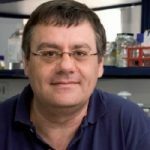 Francesc Palau, MD, PhD is a pediatrician, medical geneticist, research professor of the Higher Council for Scientific Research (CSIC) on leave and visiting professor / associate of Human Genetics at the Faculty of Medicine of Ciudad Real of the University of Castilla-La Mancha. He has extensive experience in scientific management of rare diseases at national and international level being the Scientific Director of the CIBER on Rare Diseases and Director of the Programme on Rare Genetic Diseases Research at the Center Principe Felipe of Valencia. On the other hand, Dr. Palau is the Scientific Coordinator of the Spanish Rare Diseases Strategy of the National Health System and he is very involved internationally being the coordinator of the Orphanet-Spain team and member of the EUCERD. In the field of research, his expertise is in the study of genetics and pathophysiology of neuromuscular diseases such as Friedrich's ataxia, disease Charcot-Marie-Tooth disease and Duchenne muscular dystrophy.